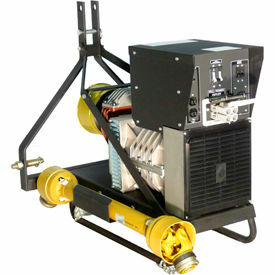 IMD PTO Generators Are High Quality PTO Generators. IMD PTO Generators are heavy duty single-phase, brushless (capacitor) designed for maintenance free performance. 16KW continuous output and heavy 100% copper winding provide optimum performance and low distortion alternator (THM<5%) for high quality power output. Pre-sealed maintenance-free bearings and aluminum and steel housing provide long lasting durability. Heavy duty cast iron single stage gearbox and magnetic circuit breaker with individual circuit protection provide safety and overload protection. LED meter provides accurate display of Hertz, Volts, and Amps output for ease of use. Drip-proof design with simultaneous 120V and 240V output. Rated watts are 10,000, 16,000 and 22,000. Voltages are 120/240. Available with 2 or 3 outlets. Lightweight. Insulation class H.